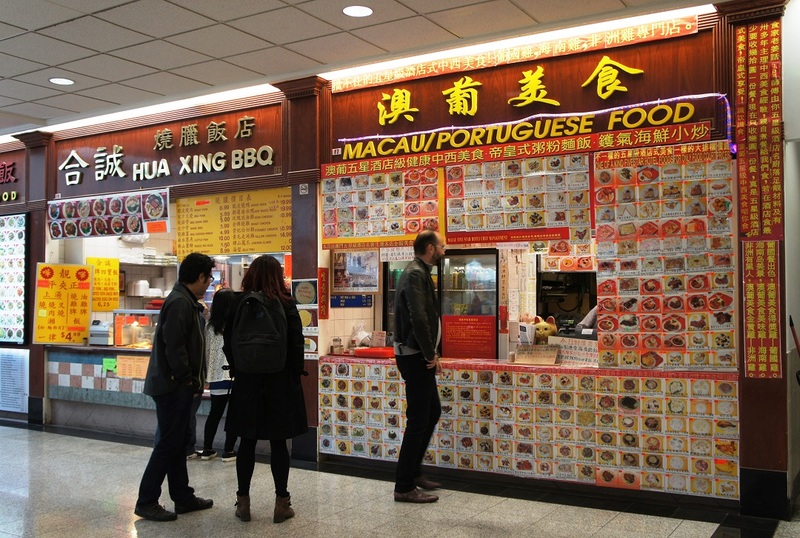 Our long and (extremely) filling trip through the northern Toronto suburbs ended up at Macau Portuguese Food, a small shop in a food court at New Kennedy Square. Surprisingly, this is the only place in Toronto where you can sample Macanese cuisine. As you can see from the photo, ordering is a bit of a trip, but the food turned out to be worthwhile. I’m not going to lie: I have nothing to compare this meal to, so I’m not sure if it was authentic. I can say that both dishes we ordered were flavourful and soft, with the ox tongue in red wine sauce as the standout. Anyway, if it turns out that Macanese food is not your thing, almost every shop in this mall is either a restaurant or a bakery, so there’s bound to be something you like.